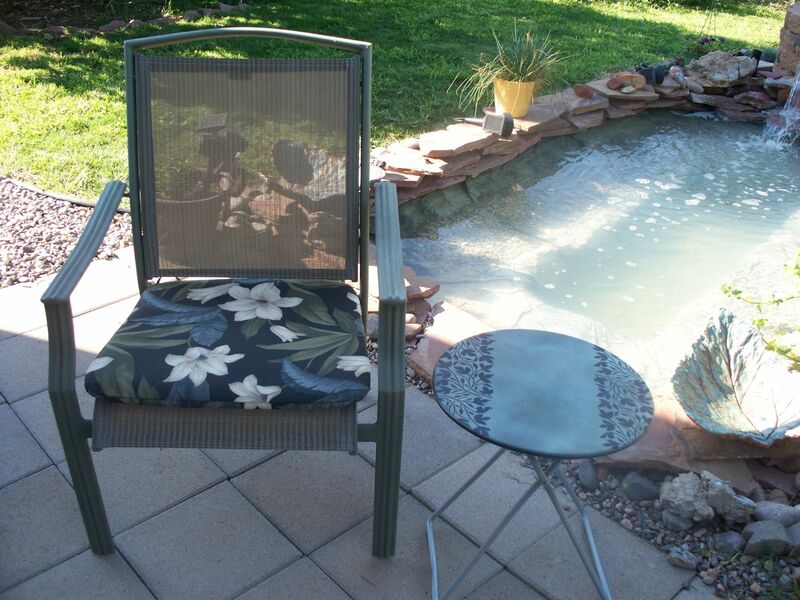 I found a cute little folding table for my patio at the thrift store. 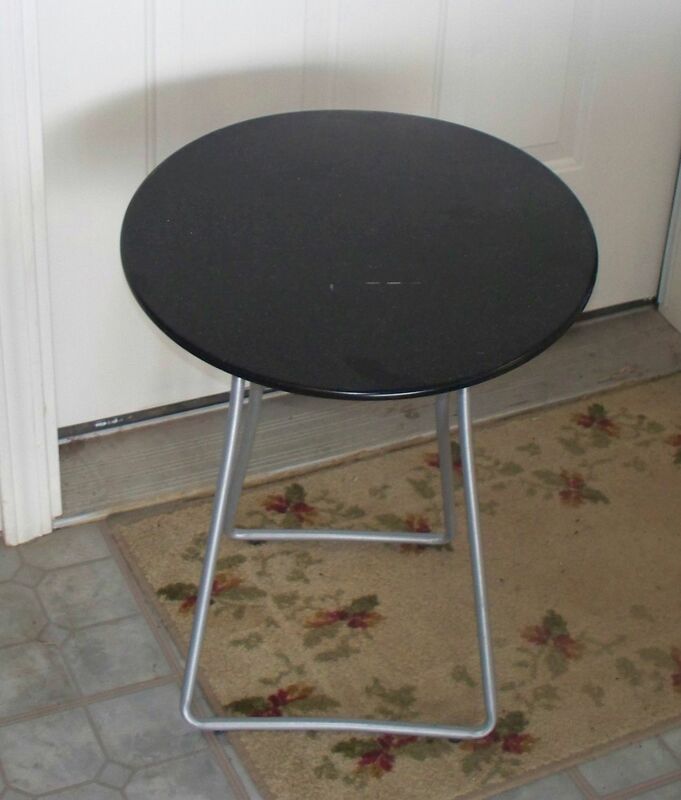 Just $4.00! I took it home, cleaned it up and spray painted the top black. 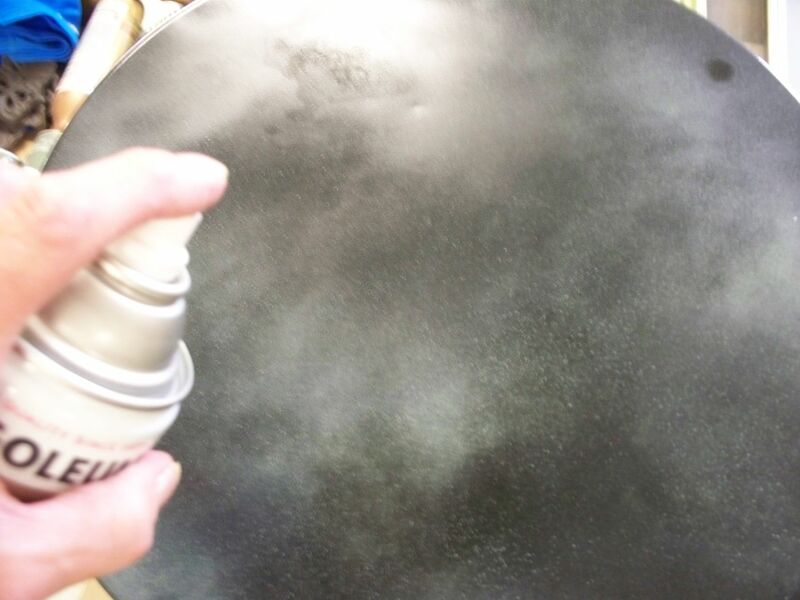 I then added a spray pattern of gray/ blue. After it was all dry, I taped the stencil in place at the edge of the table, allowing only part of the pattern to be visible on the edge of the table. 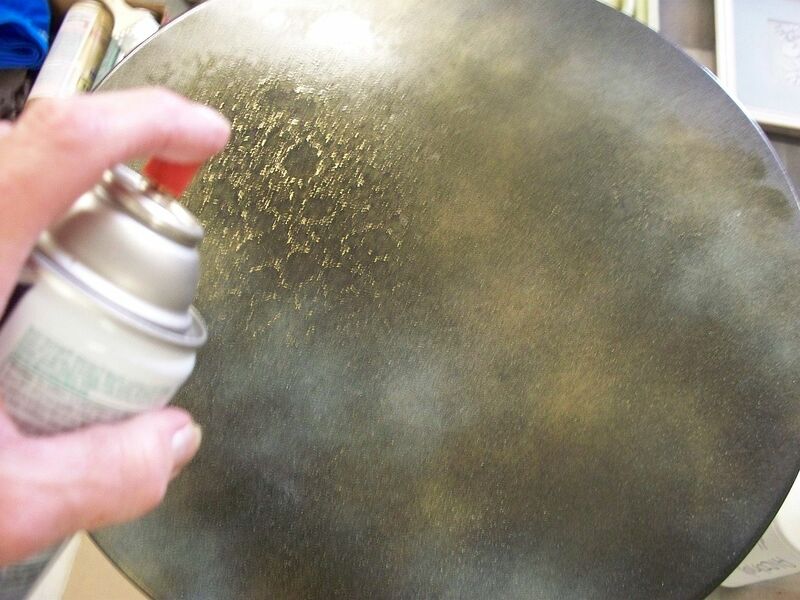 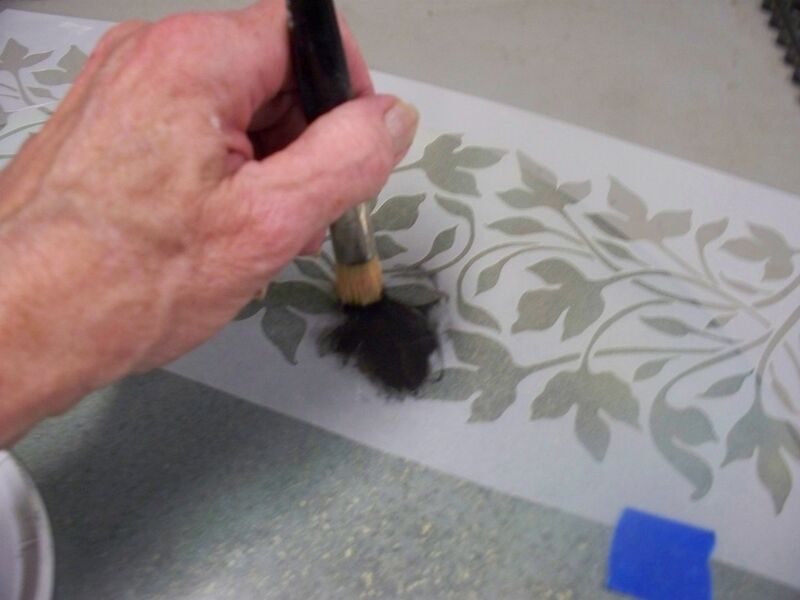 A 1/2″ stencil brush and black acrylic paint were used to add the stencil design to the table. 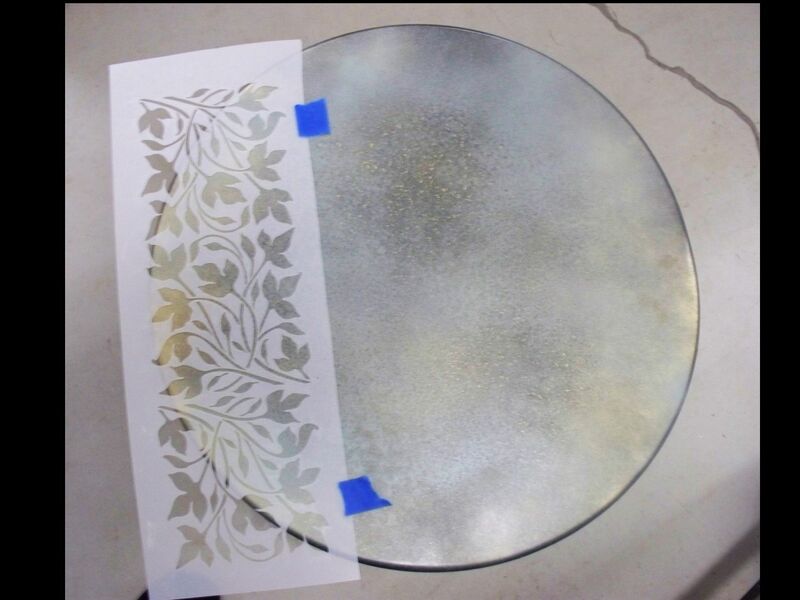 For this project, I used our Raised Plaster Leaf Panel Stencil. 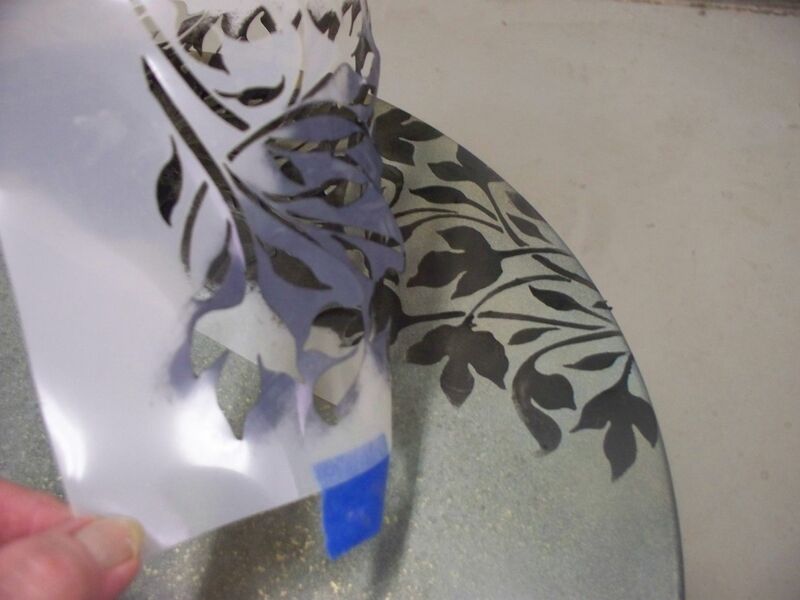 Remove the stencil, by gently peeling it back, to reveal the pretty new stencil design. 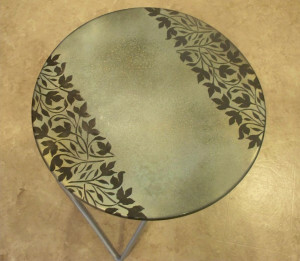 The black design against the muted colors of the top of the table making for a striking new look! Give it a coat of exterior sealer for outdoor use. It’s never ceased to amaze me how you can take a thrift store find and turn it in to something really awesome with just paint and a stencil design! Now, it’s a part of my yard decor and is something I use regularly and just love!